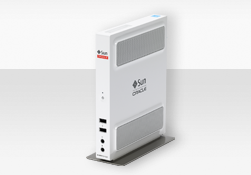 Oracle last week announced Sun Ray Software 5.2. The latest release of Oracle’s server-hosted desktop software is simpler to install and configure and features improved video, audio, smart card, Virtual Private Network (VPN), and network resiliency. Sun Ray Software is part of Oracle’s desktop-to-datacenter virtualization portfolio, allowing customers to virtualize and manage their full software and hardware stack, from applications to disk. Sun Ray Software enables users to access virtual Windows, Linux, and Oracle Solaris desktop environments through any combination of Sun Ray Clients, PCs or Macs.